Q: How would you summarize Opporty? Proof-of-Expertise protocol. Ethereum-powered PoE protocol is at the core of Opporty’s ecosystem, serving to enable smart contracts, decentralized escrow, automatic and semi-automatic oracles, and much more. Its ability to store and analyze transaction metadata makes it key to business scoring at the Opporty Marketplace. PoE enables Opporty to assign digital identities to businesses and providers, which secures B2B/B2C transactions and allows users to privatize transactions. PoE protocol offers a perfect solution for domestic and cross-border transactions, and supply chain risk management. Conditional business scoring system. Built on top of PoE protocol, the scoring system helps establish trust in business transactions. Specifically, the scoring system uses data collected and analyzed by PoE to assign scores to businesses and providers, on and off the Opporty Marketplace. It connects domain-relevant expertise to digital business identities, creating a network for safe, secure, and trustworthy business relationships. The scoring system is used to verify counterparties and validate their expertise. B2B/B2C marketplace. 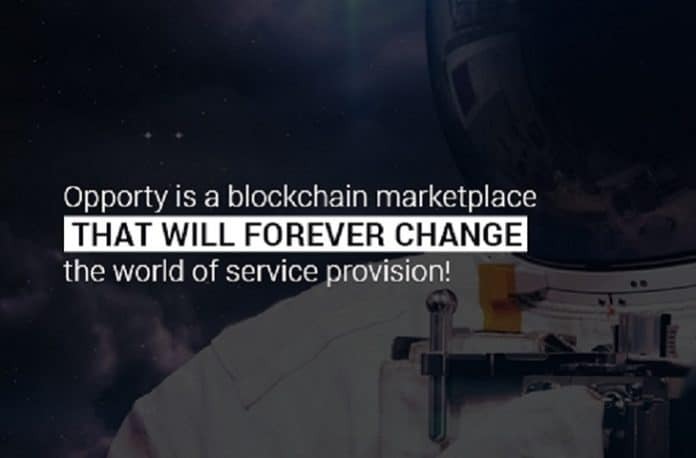 Opporty is a fully functional, blockchain-empowered marketplace where small businesses can offer their services, post requests for proposals, and receive bids from proven business community members. They can build professional reputations and earn tokens by contributing content to the Opporty knowledge-sharing system. Providers who post crypto-enabled offers are protected by decentralized escrow. The marketplace is perfect for B2B/B2C transactions, B2B cross-border transactions, and government and corporate procurement. Opporty is a gamified platform. Users who perform certain activities can earn rewards in Opporty tokens (OPP). The goal of Opporty is to become a global business marketplace that verifies and validates expertise on the blockchain, to establish trusted business relationships globally. We aspire to become a source of distributed trust among the business community by utilizing the powers of Proof-of-Expertise protocol, business scoring, and Ethereum blockchain. Lack of trust in business transactions. Many business reviews are paid or fabricated, making it difficult to verify a company’s trustworthiness and expertise. Opporty analyzes transactions to assign niche-specific business scores to help both customers and other businesses find high-quality services. Lack of privacy in traditional blockchain solutions. Traditional blockchains make transactions safe and secure, while still granting access to data to all network participants, which is not always ideal for business transactions. Opporty resolves this issue by using Plasma protocol, which not only makes selected transactions private, but also increases transaction speed. All in all, Opporty is a live platform, with solid product traction and a growing community. The marketplace has already onboarded 6K+ providers in the US, 700+ providers in the UK, and 300+ providers in Canada. Opporty is a US-based company with engineering offices in Ukraine. The company is currently gearing up full-scale operations in China. Q: How long has the team been working on Opporty? A: We have been working on Opporty for quite a while; the idea of Opporty marketplace has been marinating since 2014. However, the product only entered its active phase in 2017. Initially, the team envisioned Opporty as a service marketplace. We did not originally think of blockchain, use of cryptocurrency, or expertise verification. The early vision for Opporty was to become a service marketplace where service providers could publish their requests and offers, and use gamification to earn coins for further use at the marketplace. In the summer of 2017, we pivoted towards blockchain. We decided to introduce smart contracts, cryptocurrency payments, and decentralized escrow features. Since those upgrades require additional funds, we came up with the idea of running an Initial Coin Offering of Opporty tokens (OPP). The initial idea was to kick off the ICO in October, 2017. Unfortunately, the timing was not right. The market experienced a massive spike in Ethereum cost, which was bad news for us and for our contributors. We had to delay the ICO. In February 2018, the team launched a presale of Opporty tokens. By that time, we had refined and polished the marketplace, implemented gamification, partially introduced decentralized escrow, and added our first crypto-enabled offers. Around the same time, we arrived at the decision to enhance Opporty further, introducing Proof-of-Expertise protocol and business scoring. Our messaging was updated as well. Now, Opporty is not just a blockchain-powered marketplace but a three-tiered business relationships ecosystem that aims to resolve the issues of lack of trust and lack of privacy in business transactions through a combination of PoE protocol, business scoring, smart contracts, and decentralized escrow. The product has developed in line with its roadmap. We plan to release decentralized escrow and PoE protocol soon. Presently, the team is busy with Plasma protocol in developing Opporty Enterprise Solution. Q: Do you have any interesting partnerships lined up? A: At this stage, Opporty partners with Bancor, PundiX, IHT, and Wings.ai. A couple of other partnerships with blockchain-related projects will be announced shortly. We do not want to share this news until the agreements are in place. Clever Solution Inc., Opporty’s development company, is also one of our partners. They make up the core of the Opporty team, providing developers, marketers, content creators and other professionals dedicated to the project. Opporty is now in talks with several exchanges, implementing plans to release the OPP token. However, the process is rather slow, and we do not want to announce anything quite yet. 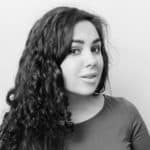 Q: How does Opporty differ from your main competitors? How will this help Opporty succeed? A: Since Opporty is primarily focused on the legal, accounting, and logistics industries (geared primarily towards services and freelance), our potential competitors are Avvo.com, Upcounsel, Upwork, Fiverr, Canya, Crystal-clear, and Nuhelp. Some of these platforms are niche-oriented, while others use blockchain. However, none of them can provide the combination of features and functionality that Opporty offers; they are only our competitors in a technical sense. Opporty’s go-to-market strategy is different as well. While most of these platforms are focused on lead generation and freelance services, Opporty mainly deals with trust and expertise (like BBB.org). PoE protocol and the scoring system are key elements of Opporty, and we intend to follow in the footsteps of Dun and Bradstreet here – collect, store, analyze, and assess data to assign business scores and ensure expertise of verified providers. We are certain that Opporty will succeed through its combined features. The platform does have competitors, but we are going to expand and combine their functionality to offer a truly unique and cutting-edge solution to the market. Previous articleHas Blockchain Made Teleportation a Reality?